Nothing lasts forever. 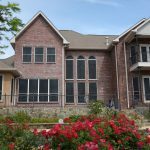 Eventually, the day may come when you’ll have to replace or repair your door, window or patio screen. Time and age can wear a screen down, and so can the elements. 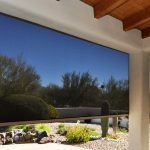 Screens can be damaged by high winds or punctured, tearing holes in a screen. In some cases, the damage is confined to just one small area, you can do a quick mending and your screen is as good as new, without need for a full replacement. 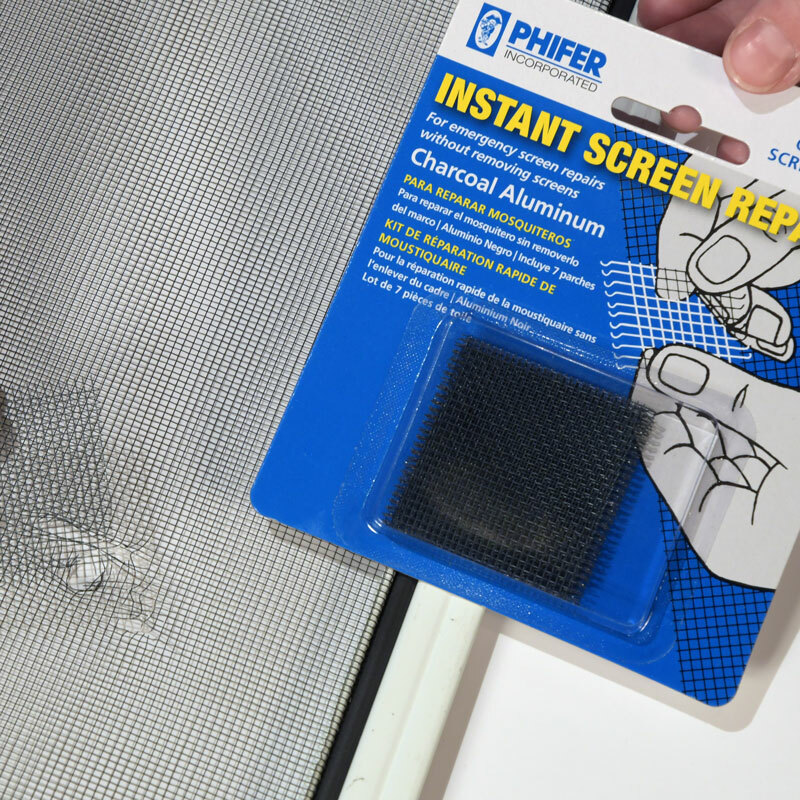 In addition to sturdy screens that stand the test of time, Phifer also makes DIY screen repair kits that make it easy for you to repair and replace screening yourself, without having to call in a professional to do it for you. 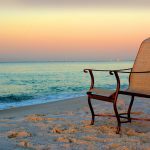 If you want to go it alone and make repairs to any small holes in your window, door or patio screen, we’ll teach you how to use our Patch Repair Kit to mend. This kit is suitable for repairing smaller tears in a larger screen that don’t merit a full reinstallation of a damaged panel. 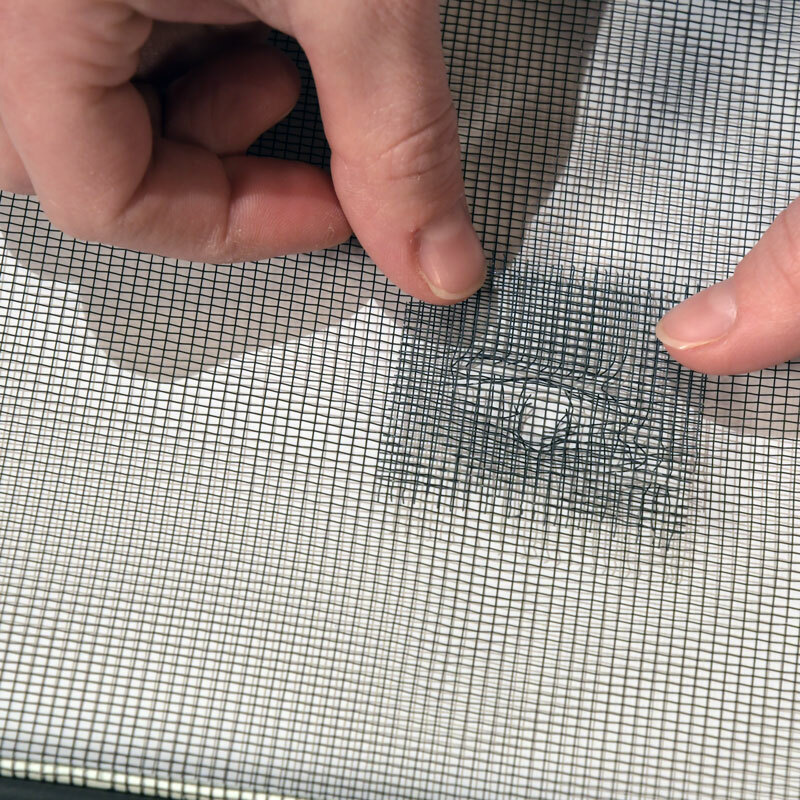 Each Patch Repair Kit comes with 2” x 2” (5.1 x 5.1 cm) patches of aluminum screen, with small hooks at the edges of each patch. Simply place the patch over the small area of the screen itself and gently bend the hooks back onto the existing weave of your screen. For a cleaner look, use a utility knife to cut away ragged areas of your screen that would otherwise overlap with the patch. For added stability, you can dab a bit of glue or bonding agent onto the tiny hooks before securing and bending them onto your existing screen. This will ensure your patch stays in place, giving your screen a more seamless look. 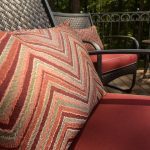 Whether you need to mend a small tear in your screening or are planning a full upgrade to the screening throughout your entire house, Phifer has you covered for your next DIY adventure! Visit our DIY video library to get inspiration and helpful tips for your next project. Need some help deciding which screen works best for you? Take our quiz or check out our screening selection guide to help narrow down your choices. 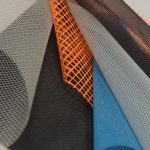 If you have any questions about screening, uses, or need some tips for your next DIY project, don’t hesitate to contact us. Chat with a Phifer representative on the phone or online if you need some help deciding which of our products will offer you and your family quality insect screening that meets your needs. We can even point you to an authorized Phifer retailer, where you can find our products in stores or online.